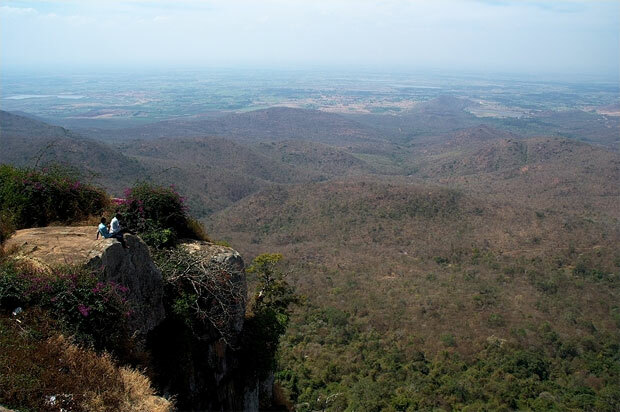 Biligiri Rangana Hills belongs to Chamarajnagar district (earlier Mysore district) of Karnataka state. Situated in southern part of Karnataka, BR hills (also called Biligiri Rangana Betta in local language, Kannada) is famous for hill area with beautiful scenary. 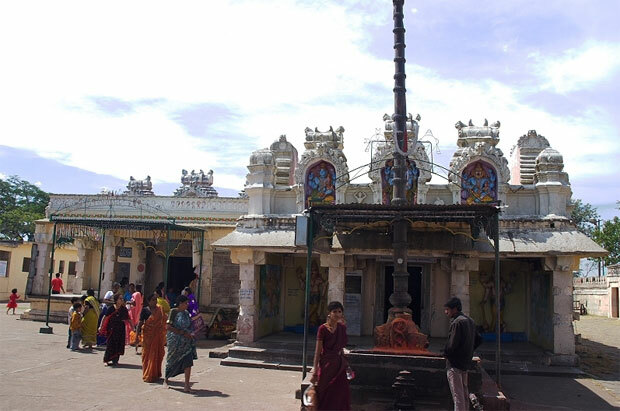 Lord Biligiri Ranganatha temple is situated at the hill top. The temple premises is famous for its valley view. This place is a remote place and the population in this village kind of place is very less. Though normal visiting period is from October to March, as it is a hill place, the weather is pleasant round the year. The temple peak is at a height of 1700 metres from sea level. Hundred years old Champaka tree is one more attraction in this place. This place is a vast hill area starting from Kerala and ending at Tamilnadu. MM hills also stretches after this place. This hill region is the continuation of base at Western ghats. 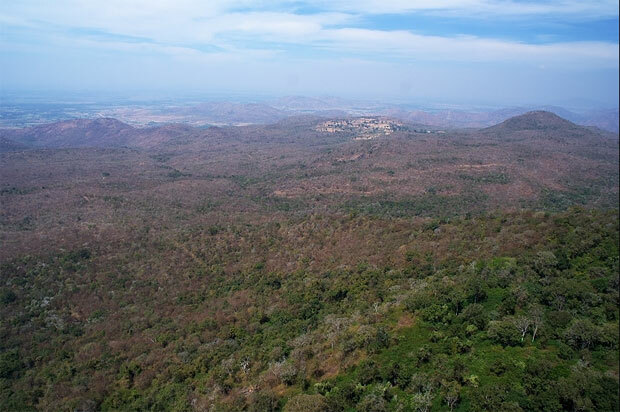 B.R.Hills and MM hills are situated in the Southern arc perpendicular to the Western ghats and are at the center. In between these two hills there is a dam called Gundal dam constructed between two hills,is a picnic spot. During February-March, there will be a car festival in BR hills and attracts lot of devotees across several Southern states of India. Tonsuring, offering goat and chicken is a common scene during the festival. Some tribes stay here and there are lot of developmental activities taken up by Government of Karnataka for them. On top of the hill there are several picnic spots whicha are a must see. This place is also known for wild life sanctuary. 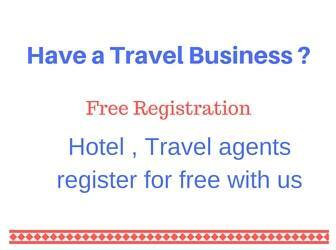 There are several ways to reach BR hills either from Mysore or Bangalore. Tourists starting from Mysore have three routes. The first way is to travel towards Thirumakudalu Narasipur (T.Narasipurpur or T.N.Pura) 30Kms from Mysore. Continue the journey towards Santhemaralli and Yelandur. Santhemaralli is 21Kms from T.N.pura and Yelandur is 6 Kms from Santhemaralli. From Yelandur B.R.Hills is 24Kms. There is a forest check post just before the starting point of the hill. In this way, the distance between Mysore and B.R.Hills is 80Kms. The second way to reach B.R.Hills from Mysore is to travel towards Nanjangud and Chamarajnagar. In this route, again, there are two ways to reach B.R.Hills. After reaching Nanjangud (22 Kms from Mysore), proceed towards Chamarajnagar. After 15Kms from Nanjangud, you will reach a place called Kaulande. After Kaulande, take left turn to proceed towards Santhemaralli and Yalandur. Santhemaralli is 15Kms from Kaulande and from Santhemaralli, Yelandur is 6 Kms. Proceed towards B.R.Hills (24Kms from Yelandur). The second way in this route is, continue the journey from Nanjangud to Chamarajnagar (35Kms from Nanjangud). From chamarajnagar, proceed towards B.R.Hills. The distance of B.R.Hills is 45Kms from Chamarajnagar. In this way, the distance between Mysore and B.R.Hills is 80Kms for first route and 100Kms for second route. Tourists visiting only B.R.Hills from Mysore, go through Yelandur during onward journey and return through Chamarajnagar. Because, the road for both the ways are different and one can enjoy the scenery well. Tourists starting from Bangalore, take the route towards Mysore. After Ramanagaram (52 Kms from Bangalore), and Chennapattana (10Kms from Ramanagaram) continue in the same route to reach Maddur (20Kms from Chennapattana). In this place (Maddur) people have to take a left turn to move towards Malavalli. If you miss this turn, people will travel towards Mysore. After 24kms journey from Maddur (taking left turn), people will reach a place called Malavalli. From Malavalli, people have to travel towards Kollegal which is 35 Kms from Malavalli. From Kollegal, proceed towards Yelandur which is 22Kms from Kollegal. From Yelandur, B.R.Hills is 24Kms. The distance between Bangalore and B.R.Hills in this route is nearly 190Kms. Only bus journey is possible in the route from Maddur to B.R.Hills. Upto Maddur, trains are available from Bangalore. From Mysore, there is no train route towards T.N.Pur. Only Private buses are available. In the way towards Chamarajnagar, trains are available upto Chamarajnagar. And also Government buses are available. From Chamarajnagar to B.R.Hills, only buses (both Government and private) are available . Guest house available at the B.R.Hills top. At the temple premesis, free meals is served in some occassion. There is one more good hotel at a distance of 1Km from the temple. Excellent quality honey is available at B.R.Hills. Tourist have to climb the steps to reach the temple from bus stop. Separate VIP road is available upto temple for vehicles bypassing these steps. Pooja is done at the temple upto 12.00 noon. Tourist travelling by bus should reach back the bus station before 1.30pm as the last bus is at 2.00pm from B.R.Hills towards Mysore. Visit the Chamarajnagar home page to get the details of other visiting places and distances in this district of Karnataka state.